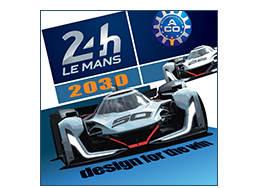 Hosted at the Detroit Athletic Club in April of 2016, the panel of discusses ‘Design for the Win: Le Mans 2030’. The topic coincides with the 2017 Michelin Challenge Design theme. Panelists include: Dave Marek, Acura Executive Creative Director, Honda R&D Americas Inc.; Doug Fehan, Program Manager, Corvette Racing; and Ben Bowlby, Motor Racing Designer and Owner, Ben Bowlby Racing LLC.. Moderated by Ben Ebel, Design Coordinator, OE, Michelin North America & Co-Chair of Michelin Challenge Design.